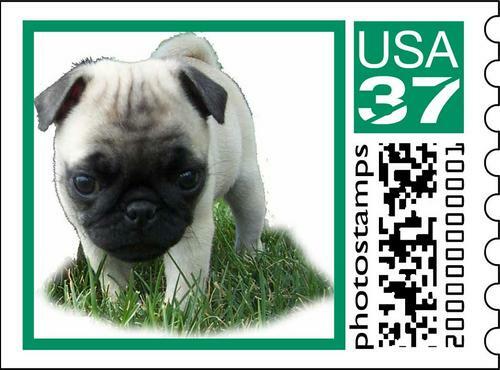 I was sent an email by some friends about a new service that let's you make US postage stamps with your own photos (http://photos.stamps.com). 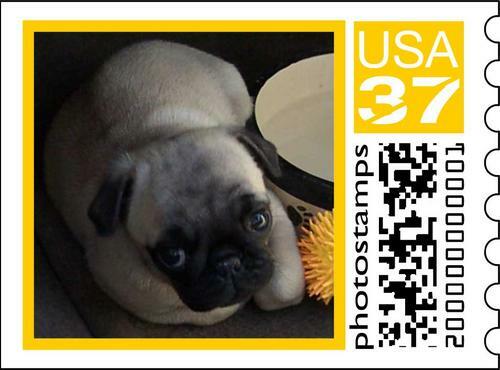 Well a little bit of photoshop work and I am happy to annouce my first series of Sheba Stamps!!! Series 1 - Number 1: This of course is my classic puppy pose. Series 1 - Number2: This picture is from my ride up to Palo Alto from Los Angeles!!! I hope that littel gets in the park soon! AAAAWWWWW how CUTE!!! I want one!!! Maybe Gladys can babysit little Sheba sometime if you're ever in the area. She loves to mother on smaller puggies....soooo much love!